Researchers at Harvard Medical School say that the Brazilian diet pills used by million of Americans can contain pharmaceutical substances (like amphetamines) and can be dangerous and addictive. Although the FDA warned Americans about Brazilian diet pills in 2006, these ‘natural supplements’ are still easily bought online and are still used by millions of Americans. New research by doctors at Harvard Medical School shows that these supplements can contain dangerous pharmaceuticals and can be addictive. Researchers looked into the pills after treating a patient who required psychiatric treatment to overcome an addiction to Brazilian diet pills. The patient, who had been using Brazilian diet pills for 4 years, had become depressed, had trouble sleeping and was even suicidal. When she had tried to quit using the pills, she experienced withdrawal symptoms like trembling, headache, anxiety and cravings. When the doctors looked more closely at the ‘natural supplements’ she had been using, they found that they contained fenproporex (an amphetamine like substance) and other pharmaceutical agents (SSRIs) – substances that they say could have contributed to the depression and suicidal actions. With treatment and appropriate medication, the patient was able to quit using the pills over the course of three months of discontinuation. The researchers say that the substances found in these diet pills can be addictive and can contribute to the development or worsening of psychiatric conditions, like depression or anxiety. Dr. Cohen warned consumers to be cautious with so called natural supplements, saying, "When you are purchasing these products, you have no idea what you are getting. 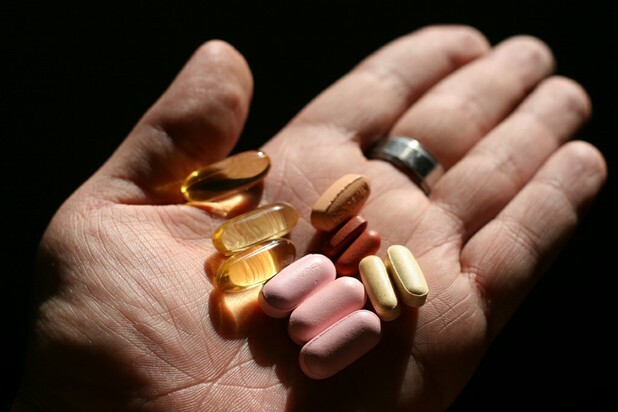 There is a very lax regulatory framework that surrounds dietary supplements. Basically, all dietary supplements are assumed to be harmless until the FDA demonstrates that they are dangerous." The full research report can be read online at The American Journal on Addictions. Learn how to effectively support a teen who is already receiving professional care, but who still needs a ton of support from the rest of the family. At a time when there seems to be more of an emphasis on female empowerment than ever before, messages of shame related to body size still permeate our culture.